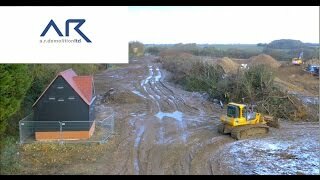 At AR Demolition, we take pride in our plant and operate a modern fleet of specialist, demolition-specific plant and equipment. Our significant and on-going investment means AR Demolition have one of the most versatile fleets in the UK. We operate a fleet of traditional demolition machines as well as specialist high-reach demolition rigs. Our demolition rigs range from 8 – 85 tonnes and capable of reaching up to 34 metres. Complimented by the latest multi-use, demolition-specific attachments and supporting equipment we are able to cater for all demolition requirements.